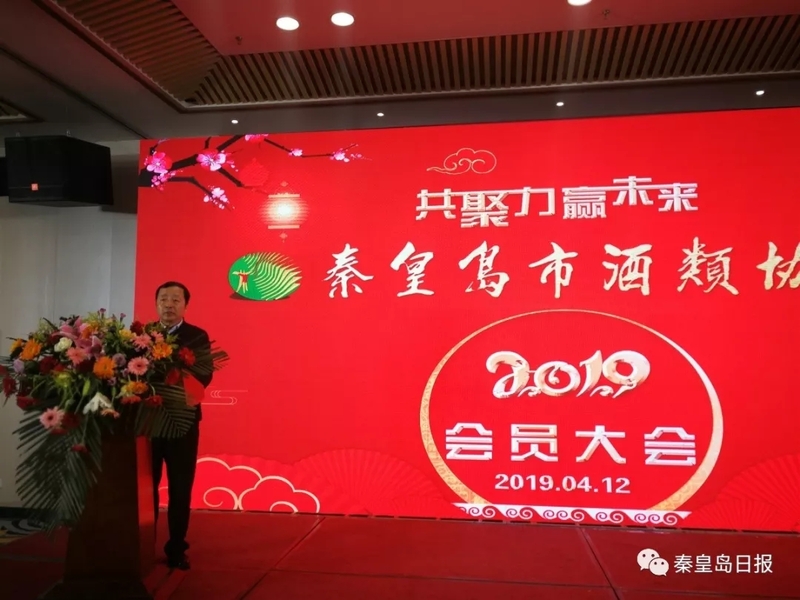 On the morning of April 12, themed with “Make joint effort to win the future”, 2019 General Meeting of Qinhuangdao Liquor & Wine Association (QLWA )was held at Shoulv Jinglun Hotel. The work of QLWA in 2018 was summarized and outlook of 2019 was proposed at the meeting. Representatives from more than 70 QLWA members of the city took part in the meeting, and deputy mayor Sun Guosheng attended the meeting.